Are you looking for something quick to throw on for Halloween? Don’t feel like being all too flashy this year? Not everyone is into the full body costumes and that is completely fine! We have plenty of easy to assemble costume kits to accommodate your Halloween needs. Check out this Adult Buzz Lightyear Costume Kit, it has just about everything you need to pass as the galaxy’s best Space Ranger. Toss on the headpiece, slip your hands into the gloves, and secure your jetpack on your back, and you’ll be ready to blast off to infinity and beyond! This costume kit will allow you to maneuver freely around the party and dance as much as you want without any restraint. 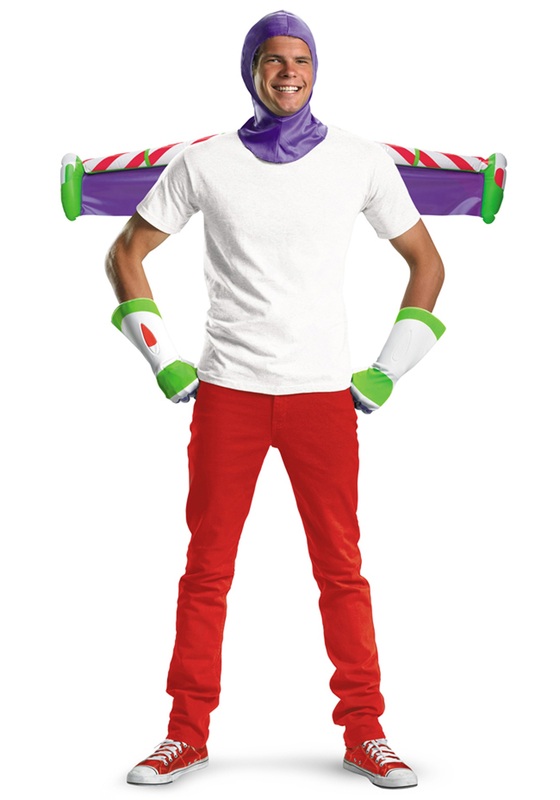 You may not be ready for any big missions without the rest of Buzz’s space suit, but it’s Halloween and there is too much fun to be had to waste on worrying about Zurg’s next evil plot!